I have to admit, I have never been able to grasp the “Bettie Boop” phenomenon that continues to live since Max Fleischer debuted the cartoon in 1931. Perhaps I’m sick of seeing her image plastered on cheaply made handbags, magnets and mugs. I refuse to join the cult and I know I’m not the only one who thinks this way. My friend Tula and I have this on going joke– every time we see a Bettie Boop product we take a picture and text it to each other with a snarky message like “thinking of you” or “look what I just bought for you.” But now, we just might be eating our words. The fashion line Joyrich of LA, has successfully brought classic, child hood, cartoons and elements into the fashion world by incorporating them into their designs. Their last project was a lucrative endeavor with Mickey Mouse and now they’ve launched, yep, you guessed it, Bettie Boop! The above pictures are gorgeous, and a far cry from tin lunch boxes and over-sized T-shirts. I love the Pop Art direction with an infused comic vibe, it’s just what this character needs. Maybe this caliber of style will raise the bar on Boop items and give Bettie the recognition she deserves. After all, she was seducing audiences in her wiggle dress and garter belt long before Marilyn Monroe and Mae West hit the scene. I promise not to say anything negative about the star, I wouldn’t want to take her “Boop-Oop-a-Doop” away. And I wish Joyrich much success, they’ve definitely got the quality and design part down. However, if I end up seeing this collection on the racks at an outlet somewhere, you can bet your bottom dollar Tula is going to be getting some good text messages. (I’m just sayin’!) Let’s hope for the best! 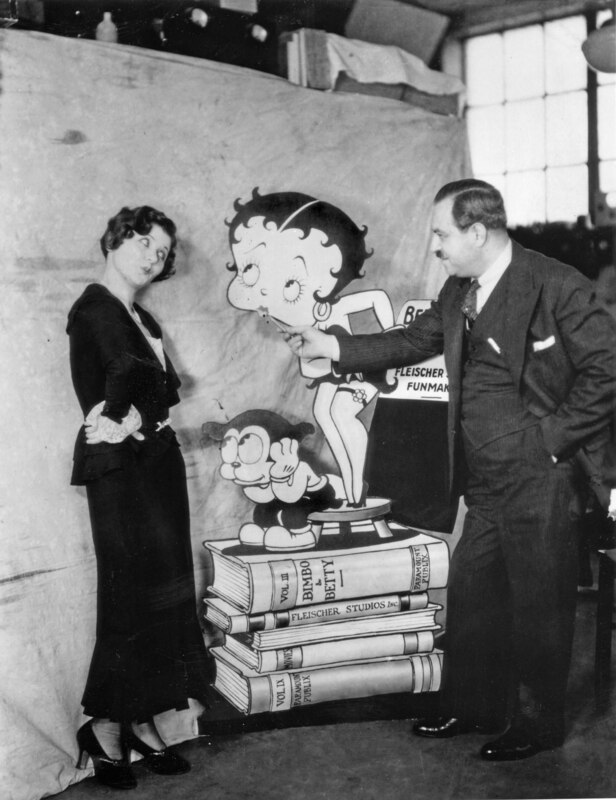 The last picture is of Mae Questel who was the voice of Bettie Boop with the animation creator Max Fleischer.